President Bush has indicated he will sign the Iraq/Afghanistan Supplemental Appropriations bill into law. 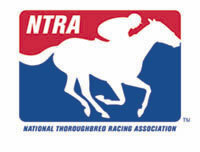 The bill includes one of the NTRA’s top legislative priorities, a measure sponsored by Senator Barbara Mikulski (D-MD) that would address problems created by the limited availability of H-2B visas. Many employers in the Thoroughbred industry who rely on the H-2B programs for semi-skilled immigrant workers for non-agricultural jobs will benefit from the new law. This year, the number of H-2B visas available for immigrant workers is capped at 66,000. Under the new provision, any foreign worker who has received a visa under the H-2B program in the last three years will be exempt from this cap for the next two years. Each year many trainers, training facilities, and other service providers in the industry rely on these workers to fill jobs. The bill will also provide a more equitable distribution of new visas throughout the year. Beginning in FY 2006, which starts October 1, 2005, half of the 66,000 regular H-2B visas will be issued for the first part of the year and half will be issued for the second part, starting April 1, 2006. This change in distribution will not apply to repeat H-2B workers. The U.S. Citizenship and Immigration Service is expected to issue instructions on filing these applications very quickly. The employer will have to certify that the worker received such a visa in one of the past three years in order for the applicant to be exempt from the cap. Those who use the H-2B program should contact their attorney or business advisor to determine how the change may affect them. According to a just-published report from the Associated Press, President Bush is expected to sign the legislation into law with no delay. For more information about the NTRA’s legislative programs, call Joe Clabes at the NTRA, 800-792-NTRA or email Jclabes@NTRA.com.